A great 6-2 victory for Barça Lassa over Barcelos means that on Sunday that the blaugranes will meet Porto in the final of the Continental Cup. Edu Castro's team came out on top thanks to goals from Pablo Álvarez, Joao Rodrigues (2), Alabart, Bargalló and Marc Gual in a great team performance. 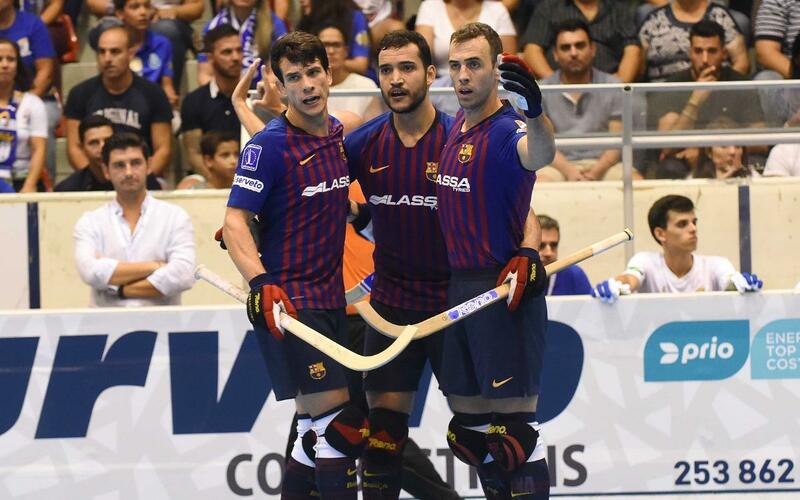 The win allows the FC Barcelona roller hockey team to compete in yet another European final. In that game they will face a Porto side who beat Lleida 5-3 in the other semi-final in the competition. The blaugranes will be looking for their 18th win in the Continental Cup, the first since the Final Four format was introduced, and the 120th in the history of the section.